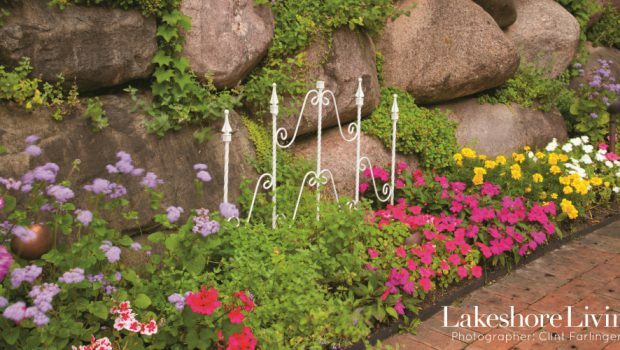 Home / Archive by categoryGardens"
A Waukesha County lake house incorporates the natural terrain for ideal outdoor living. 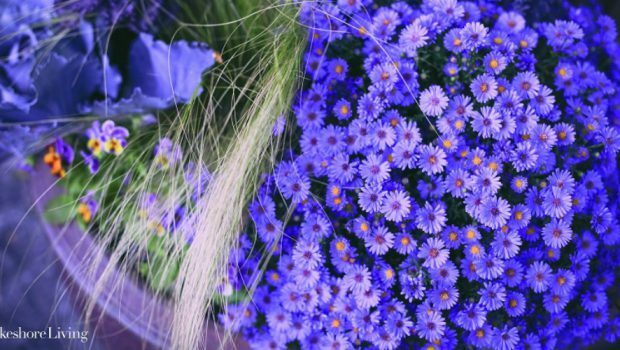 The planting season isn’t over yet—take advantage of nice autumn weather to prepare your lawn and garden for winter, and even plan into next spring. 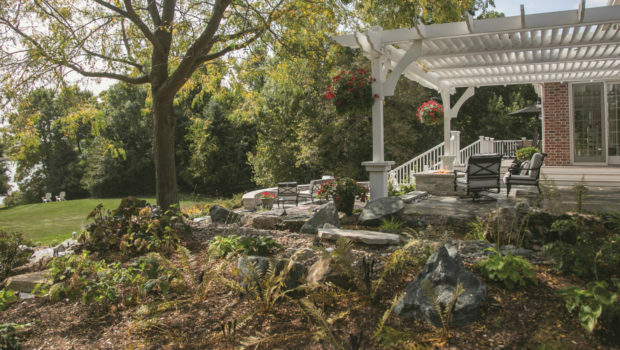 When the Andersons built their summer home on the south shore of Geneva Lake, they used that lifetime of landscape experience to create a summer Japanese garden haven on their two-acre property. One of the most recognizable homes on the north shore of Geneva Lake is the estate of Richard H. Driehaus, and its magnificent grounds, Glanworth Gardens. 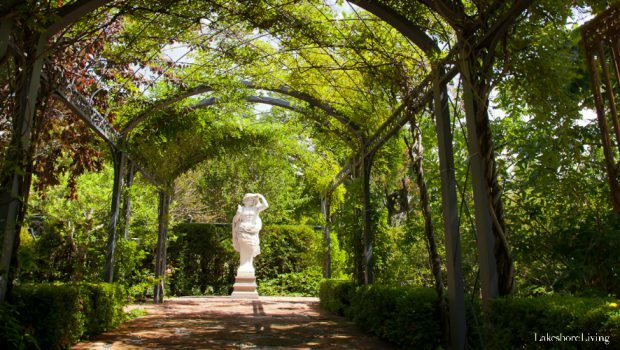 The stately Georgian Revival built in 1906 is surrounded by lush greenery, stunning perennial gardens, an abundance of colorful annuals, and a series of ponds with gently flowing water features. 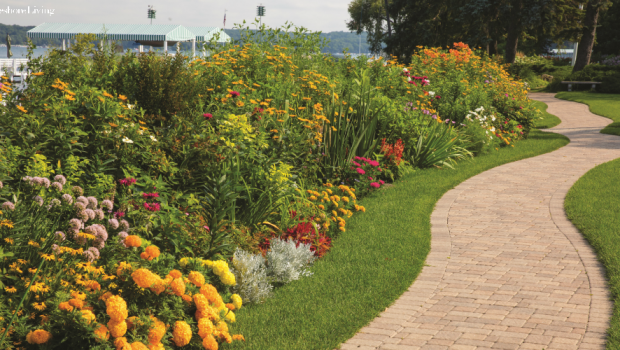 The owners of the vintage lakefront property-turned-B&B, Mendota Lake House B&B, put their own spin on the home's gardens. 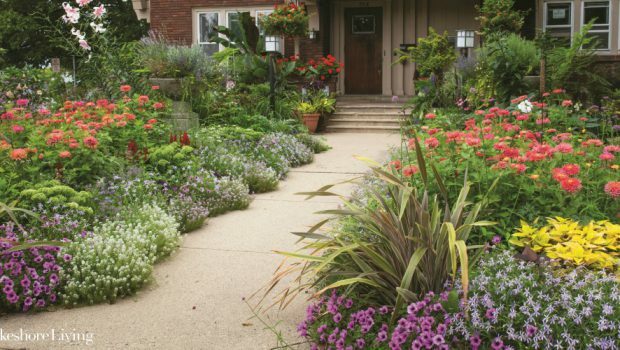 James Drzewiecki of Gingko Leaf Studio names all of his landscape projects something memorable. 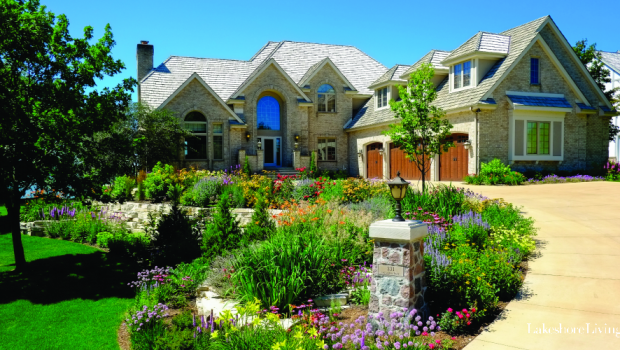 Take his stunning “Chateau de Fleurs” design for homeowner Heather and Brian Paulin’s Lac La Belle home. The crowds thin as summer departs in a final puff of heat, and autumn begins muscling her way in with a frosty kiss. But don't think the impending cooler season means there's nothing much to see at Olbrich Botanical Gardens. 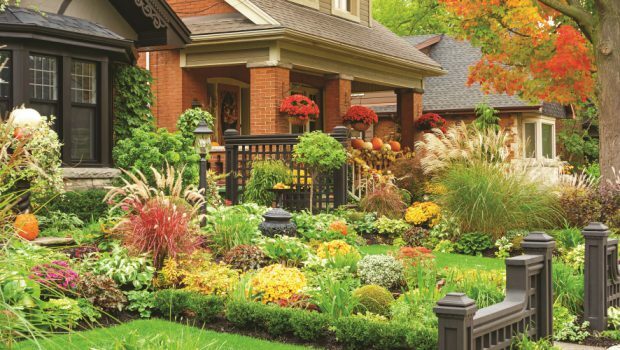 In many ways, fall is the perfect time to stop in for a visit.